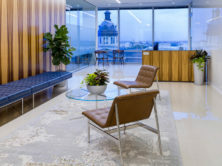 This new office is located on the eleventh floor of the Main and Gervais Building and includes 18,000-square feet and space for its 18 attorneys with room for expansion. 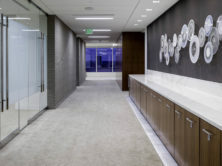 The design, by Gensler and Associates, includes plenty of open spaces with custom-built floor to ceiling glass exterior walls highlighted with wood, marble and tile finishes. The space provides access to an atrium meeting area and outdoor patio and balcony with views of the historic South Carolina Statehouse, which was built in 1855. 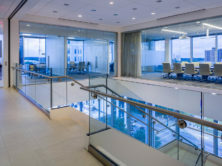 Prior to the Columbia office, Edifice completed Parker Poe’s office in Raleigh N.C. which includes a prominent use of glass to make the most of an open floor plan and amazing views. 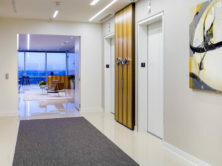 Glass is incorporated into the end of every east-west hallway to ensure that all areas receive the stunning window views and plenty of light. 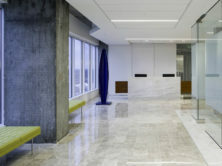 The two-story, 50,000-square-foot office has more than 100 workspaces incorporating frosted glass panels at all office doors to bring in natural light throughout the floors. 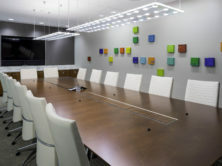 This new space has ten conference rooms clustered on one floor featuring the latest in audio and video technology and high-end finishes. 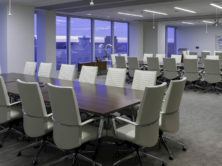 The largest conference room features two Skyfold operable partitions that can be deployed from the ceiling to create two or three smaller conference rooms. 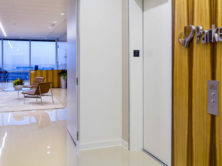 The Skyfold doors function as a fully constructed wall in both appearance and acoustical dampening for confidential meetings with clients. 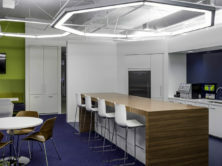 Instead of the conventional corner offices and standard break rooms, Parker Poe opted for a more collaborative environment including a café area complete with tables, booths, bar seating and sleek high-definition screens and team/collaboration rooms at each corner. 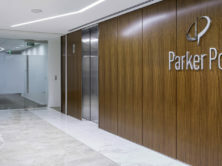 In the main reception area, wood veneer panels and natural stone floors create the welcoming environment for their clients. Edifice completed construction in only six months. "The reputation and success of every service firm depend first and foremost on the competence and responsiveness of its people. 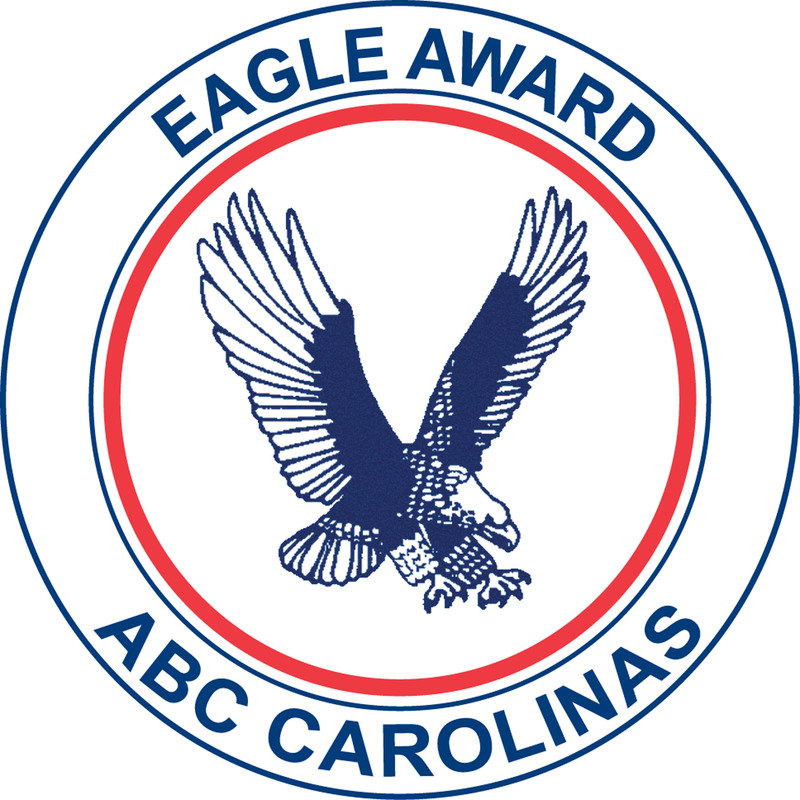 While other contractors might have delivered a similar product, having experienced the personal dedication and commitment of the people at Edifice, we would recommend Edifice unconditionally as a premier contractor for office up-fit in North Carolina."